Golden Bear Cottages Resort resemble story-book cottages that are perfect for couples, small, medium and extra large size families. These clean historic resort cabins at the AAA approved lodging property are easily identifiable as a group of free-standing rental cabins at 39367 Big Bear Blvd in Big Bear Lake. Golden Bear Cottages can easily be recognized as its own quaint village. The AAA approved non hotel in Big Bear Lake office hours are 9am to 5pm Sunday through Thursday, 9am to 9pm Friday and 9am to 6pm Saturday. Come, bring your family and large or small groups to enjoy a great night sleep on one of our queen Tempur-Pedic beds, relax in one of our ten indoor Jacuzzis, outdoor spa, heated pool and sports recreation areas. After hours emergency support is available by calling the number on the office door, this number may also be used for last minute or same day reservations. KCAL-FM 96.7 and KOLA-FM 99.9 also talk radio KMET-AM 1490 and KCAA- AM 1050 for the Inland Empire. Hundreds of actual reviews from our Big Bear Lake guests. We have only edited personal information that could be harmful to guests on the Internet. Thank you for taking time to send us your family and group's guestbook lodging reviews and personal guest comments. Write your own Big Bear Lake review here. 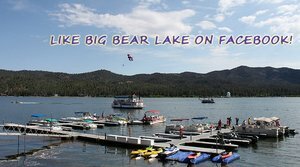 Signup for today for our "Big Bear Lake Newsletter" and get special guest lodging offers and discounts. Golden Bear Cottages was originally opened as a full resort lodge in 1927. It has been continually operating since then. The cabin construction was started in 1915. Over the years it has become a historic landmark in Big Bear Lake. Don and Karen DiCarlo and Lisa and Len Duran are only the fifth family to own this property in over 90 years (purchased in 1999). These historic resort cabins at our AAA approved lodging property are easily identifiable as a group of free-standing rental cabins at 39367 Big Bear Blvd. in Big Bear Lake. Golden Bear Cottages can easily be recognized as its own quaint mountain village. Bring your family or group and enjoy our outdoor spa, heated pool and unique non-hotel outdoor recreation areas. 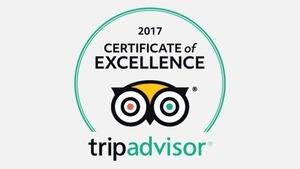 Golden Bear Cottages family owned resort staff considers it a great honor to carry on the role of protecting and sharing the beauty of the California historic big pine forests with our guests. Our goal is to nurture an environment in harmony with the nature and history of the mountain while allowing our guests to enjoy a relaxing Big Bear Lake alpine experience. We strive to make our resort an antidote to all that is excessive, formal, artificial or contrived. 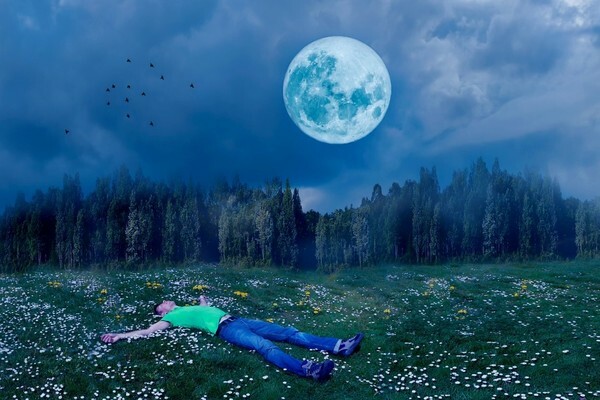 By focusing on the very essence of life, we hope to offer our family and group lodging guests a welcome non hotel retreat experience in tune with the spirit of the mountains in Big Bear Lake. Individual family and group accommodations. We are very proud of the fact that over 60% of our business is a returning guest or referral. Golden Bear Cottages Resort resemble story-book cottages that are perfect for couples, and also for small, medium and large size families. Golden Bear Cottages is also the perfect mountain setting for group retreats and reunions. As a Christian family resort we specialize in men's and women's group retreats, Bible study retreats, youth retreats, college retreats, family reunions and business team building retreats & conferences. Tempur-Pedic queen beds insure our guests a good night sleep. 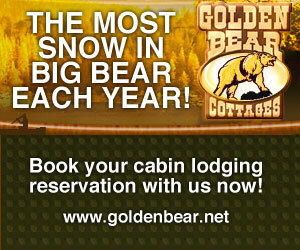 The owners of Golden Bear Cottages Resort are all local Southern California residents. The family has always been entrepreneurs and have previously owned other retail and sports related business in Southern California. 5. What is this company's most popular travel package and why? Weekday family vacation packages with ski tickets or discounted boating coupons during the season. 7. What is the best compliments we have received from a client? Golden Bear Cottages is truly an historic mountain property, not a five star hotel. It is an A+ rated BBB historic lodging property. If you are looking for a peaceful and quiet resort with a heated pool and spa, lots of outdoor activities and a Christian family staff that truly appreciates you and your family or group then this is the place for you! Our AAA approved historic cabins have had families and retreats returning year after year for over three quarters of a century. It's a Big Bear tradition, a mountain experience that you will remember forever . Better Business Bureau A+ rated Golden Bear Cottages non-hotel resort is the place for your family too. Cottages for rent and lodging accommodations for families and groups. If you plan on bringing your pet, make sure you are choosing a special pet cabin where pets are welcome Our specially Designated Pet Friendly cabins at Golden Bear Cottages have a fully fenced pet yard. We now have 14 different clean AAA approved and accredited Big Bear Lake pet friendly cabins with fenced yards. Click here to view the SCALE MAP of our entire five acre resort property, and the exact location of your cabin.